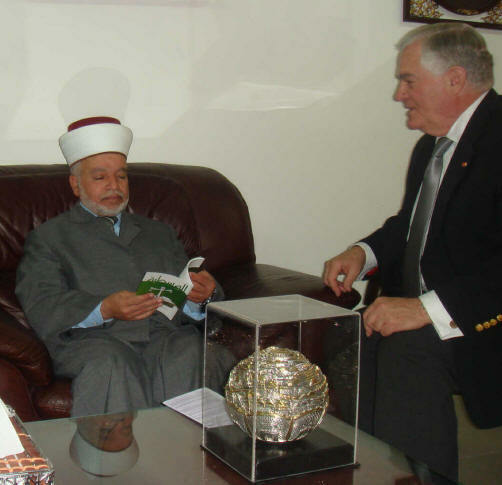 Below we gave the Mufti the book of the principles of WASATIA. 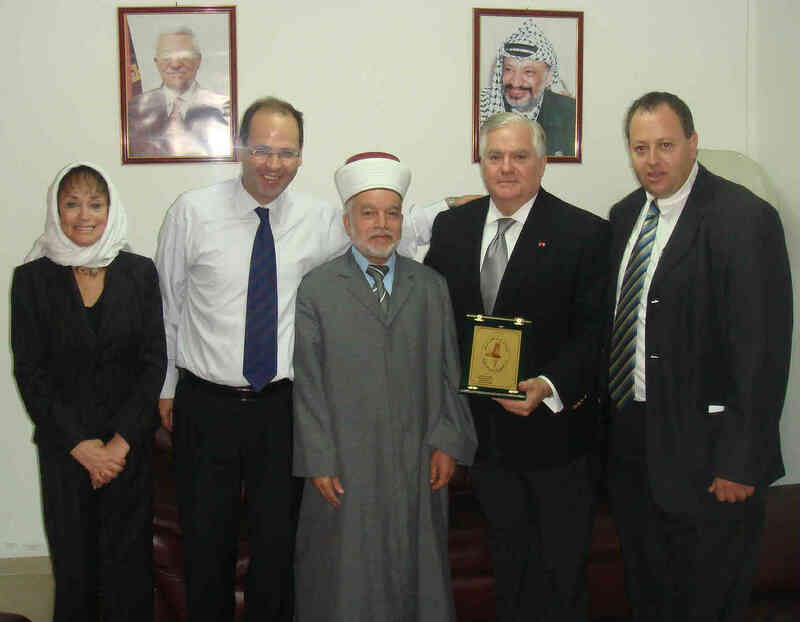 Mohammed and Munther Dajani, founders of WASATIA, are concentrating their efforts on educating young Palestinians to tolerance. Islam accords special status to Judaism and Christianity, categorically calling their adherents, "Ahl al-Kitab" (People of the Book). It identifies itself with the People of the Book as the "Abrahamic family" within the Semitic Tradition (Hanifiyyah), the tradition of Abraham who is recognized as the father of the three Semitic religions. Each of these religions has its book. That is, they are subject to a revelation sent down by God. They know what is right and what is wrong, what is lawful and what is unlawful. They love and revere God's prophets and they know that they are ultimately accountable to God. This shows that Muslims and the People of the Book share a divine legacy, a historical tradition of mutual co-existence, and a spirit of kinship and togetherness.